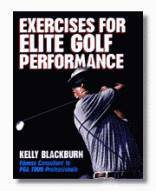 Television & Print: Kelly authored Golf Fitness for Dummies, IDG and Exercises for Elite Golf Performance, Human Kinetics. She’s a weekly contributor for The Golf Channel health and fitness tips for golf and served as the Fitness Expert for The Golf Channel’s Golf Makeover Challenge. Other television credits include The CBS Early Show and NBC, CBS and ABC affiliate morning shows throughout the U.S. Her monthly contributions for fitness tips to magazines include Golf Digest, Golf for Women, SELF magazine, Golf Week, Sky magazine and more. To inquire about her availability for television and print and associated fees click here.